The warm months will never cease to be something to get excited about. With the beautiful weather calling, there's so much fun to be had outdoors during the day and at night. At home, what are your favorite outdoor fun spots? 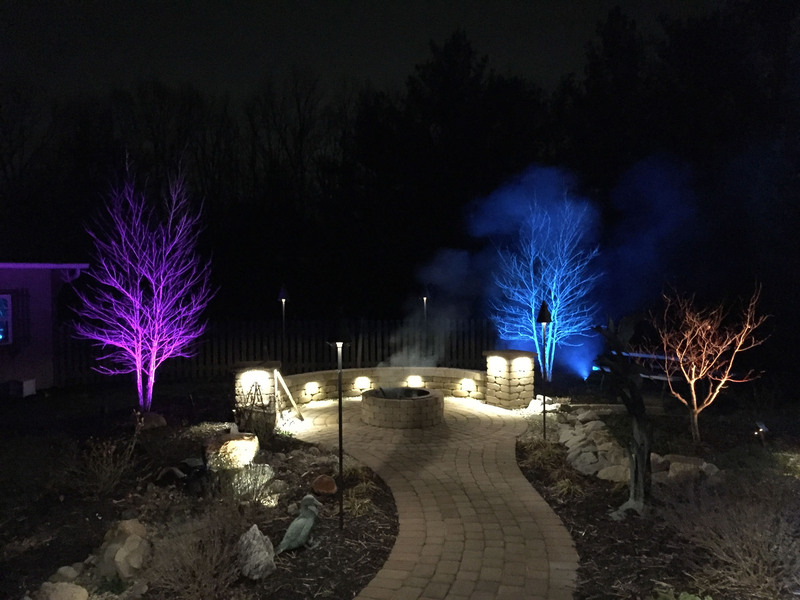 Sports, food, entertaining, wherever your passion lies, it's a safe bet that you can give your backyard fun a boost with landscape lighting. Whether you have a deck, a courtyard, or an outdoor kitchen and bar, set the perfect mood with just the right color or brightness. Underlit surfaces such as tables or ledges allow for illuminating below walking area and ground without harsh or direct light in your eyes. A gentle ambient glow or splash of color opens up new possibilities - Outdoor dart game, anyone? If you have an outdoor fireplace or firepit, you already know how much it is adored by all. A little lighting will have your friends and family begging for an evening invite. Seating, pathways, surrounding elements such as trees or plants... All with a little radiance, your fireplace will prove to truly pop! Got a barbecue champion in your home? Light above your food prep and cooking areas for the perfect wine and dine outside. Who doesn't like to take an evening dip? 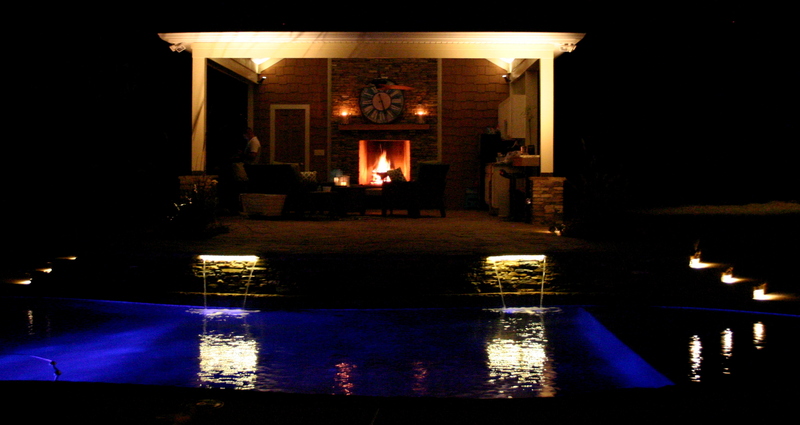 Light up your swimming area with an elegantly illuminated deck, furniture or walking area. Spot lighting on steps or ladders brings a helpful yet ornamental element. Decorative water spouts or waterfalls can be backlit for a super cool touch that illuminates the stream and brings your decorative feature into the night hours. The playful way the light reflects off the water is unlike anything else! Are you ready to light up your night? 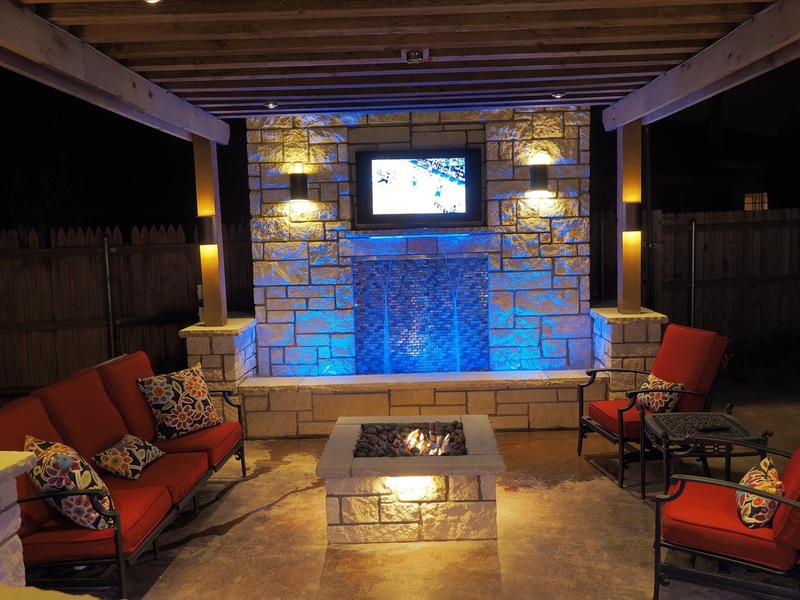 Top notch custom outdoor lighting is Valley Lighting Group's specialty!